Abelone Constance Kristensen was a criminal. She ruled the Vaterland district in Oslo in the late 1800s, where she ran a tavern and brothel. 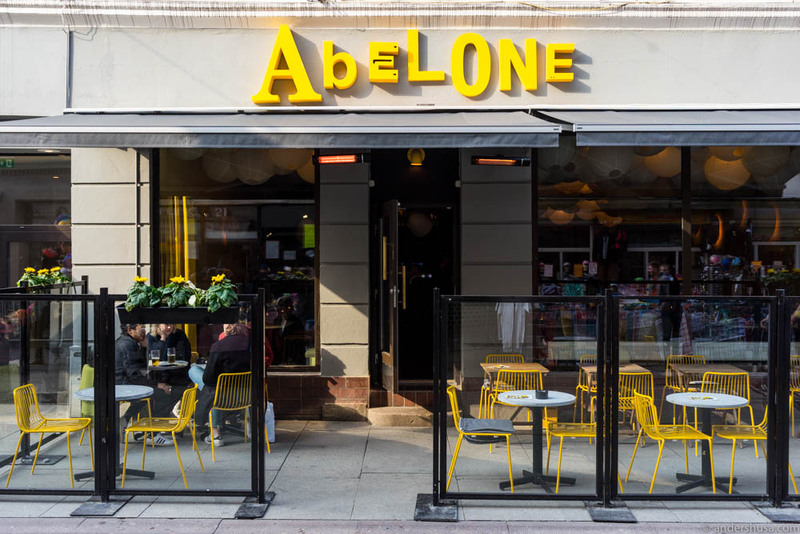 The Queen of Vaterland, as they called her, was also the inspiration for the name of Oslo’s latest bar – Abelone. A combination of café and bar to be correct. Situated on Brugata, it’s actually a coffee bar as much as a cocktail bar, but many people will recognize the owners as bartenders first and foremost. 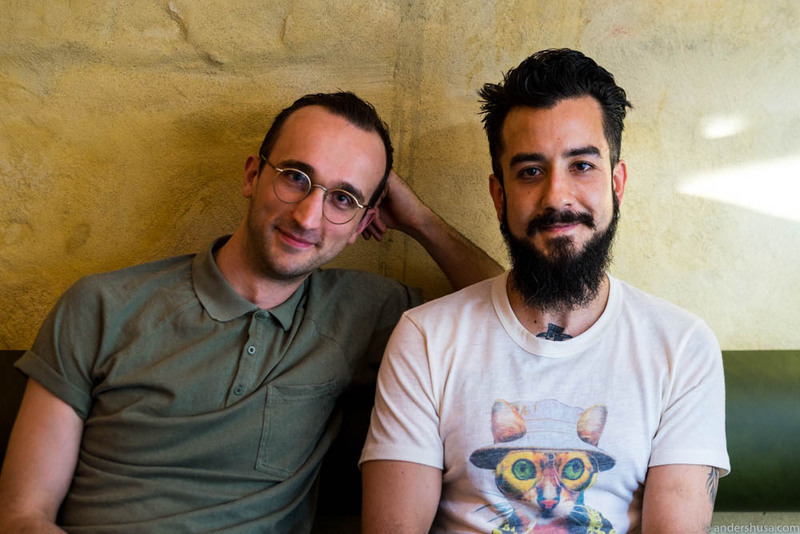 Robin Sohrabi-Shiraz and Jacob Spangenberg should be familiar faces if you have frequented Fuglen throughout the years, while Veronica Vollund and her husband Stian Vaagland also run the equally beautiful Torggata Botaniske. A new face to some perhaps is Adrian Fjell, who has a background in vintage furniture and clothing design. I was slow to catch the news about Abelone opening, thus my rumor page was not updated until they actually announced their first day of service on May 3rd. I immediately knew this was a place to check out, though, as it looked stunning. These days you call it Instagram-friendly, I guess. 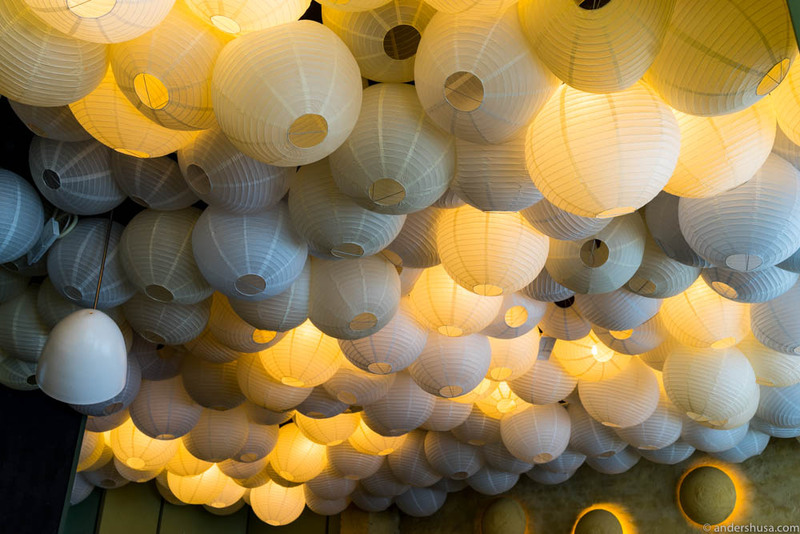 Let’s start with the ceiling, which is the first that meets the eye since it’s covered in round Asian paper lamps. 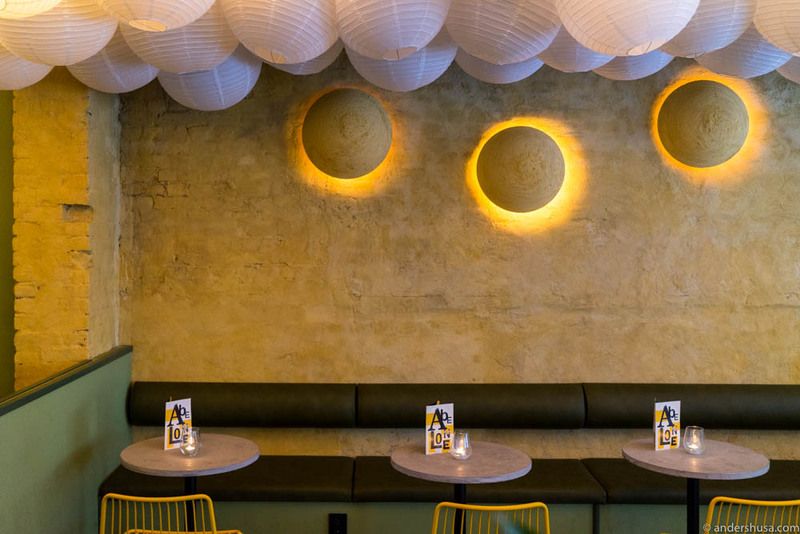 “Only 60 of them are actually working,” Robin explained me, “and we can control the lighting in three different zones.” The brilliant idea of completely coating the ceiling was inspired by looking at the clouds, noticing their fluffy shapes and how the light breaks through. Yellow is the main color of Abelone. A unique choice, which is reflected in everything from the chairs, to the menus and drinks. While the walls are more autumn-yellow, the place still gave me a summery vibe. Especially when we started tasting the drinks. I was here together with my friends Ronny and Michelle, who had flown in from Singapore, and we took a cocktail break from our Restaurant Day tour. From the carbonated drinks list, we tried the Bergamot soda with Japanese umeshu, and among the regular mixed drinks, we chose Teknert. Both very refreshing and easy-to-drink. Teknert was basically a lemonade, you could hardly sense the alcohol in it. In other words: A dangerous summer cooler! 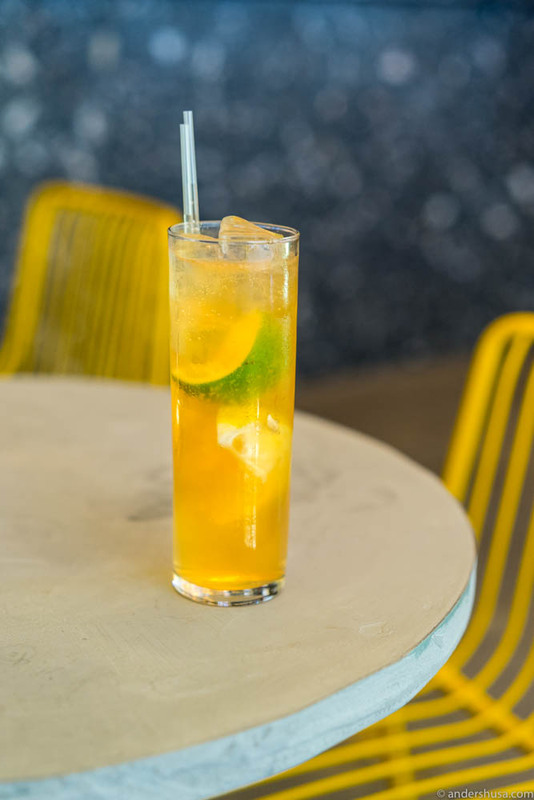 Bombay Sapphire gin, St. Germain elderflower liqueur, Earl Grey tea, lemon, lemon-oil sugar, and lemon peel. While Brugata is still a shabby part of town, luckily, it’s getting better and better with places like this as well as Brugata Landhandleri popping up soon. That’s really the only way to take back these lost parts of the city. Right before we were about to pay and go, I noticed Abelone had slush on the menu! “What is Tykjeslush?” I asked. “Tykje means Satan in Northern-Norway,” Robin explained, “It’s a spicy drink and tasty as Hell!” He was right. It was damn good. 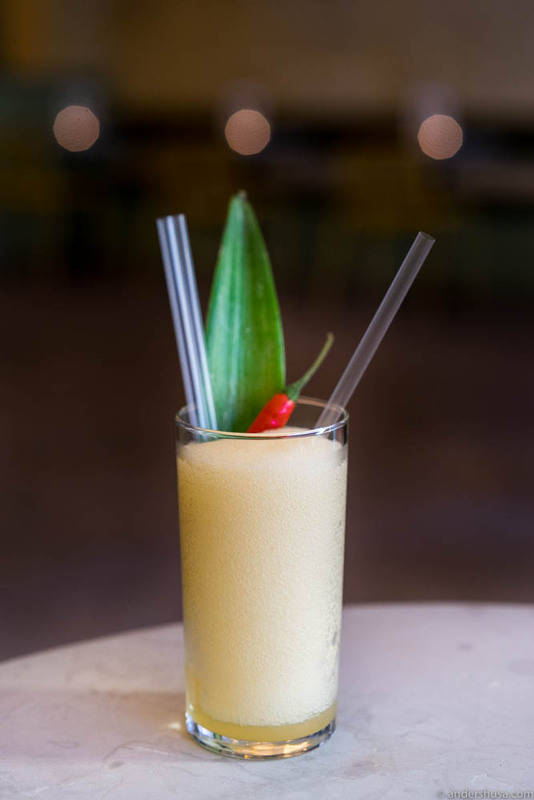 Bacardi pineapple rum, pineapple juice, lime, honey & habanero chilis. The type of Piña Colada that Satan would have made. “It might be my favorite cocktail to date!” Michelle said after trying a sip. I couldn’t disagree with her. Nor could I help but finish the bowl of dried and sugar-cured lemon peels we were served as a palate cleanser of sorts. “Even these are worth coming back for,” I said to Ronny. Next time I want to try Abelone’s sourdough toasts and some of their excellent wines. And a coffee. I’ll definitely try their coffee. Tykjeslush – spicy and devilishly good! Did you check out Abelone yet? Let me know what you think. Leave a comment below.